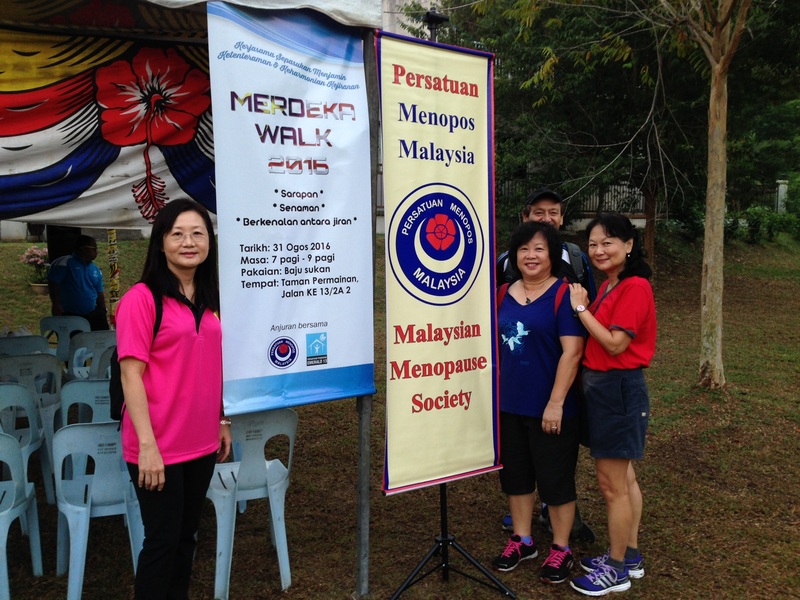 The Merdeka Walk, a collaboration between MMS, Persatuan Penduduk Emerald 13 and Joincare Rehabilitation Centre, was held to celebrate the spirit of muhibbah (harmony), while promoting MMS and encouraging a lifestyle among the general population. After the welcome address by En Aziz Mastam, President of Persatuan Penduduk Emerald 13, MMS President Dr Ho spoke on how to stay healthy as one ages, followed by a 30-minute exercise session by Occupational Therapist Ms Charlie Tan from Joincare Rehab. The participants were then invited to go for 20-minute leisurely walk around the whole residential area of approximately 1.5 km. The event, the first to be conducted at the residential area and MMS’ first community outreach initiative for the term, was attended by about 130 participants, who went home with MMS goodie bags containing Berita Menopos, a towel and small mementoes.